A Christmas Eve story and a photo—seven years later. Scenes of a Good Life. This was the 7th Anniversary of our shopping trip to Costco on Christmas Eve, which we now celebrate by going shopping at Costco on the 24th, followed by brunch! 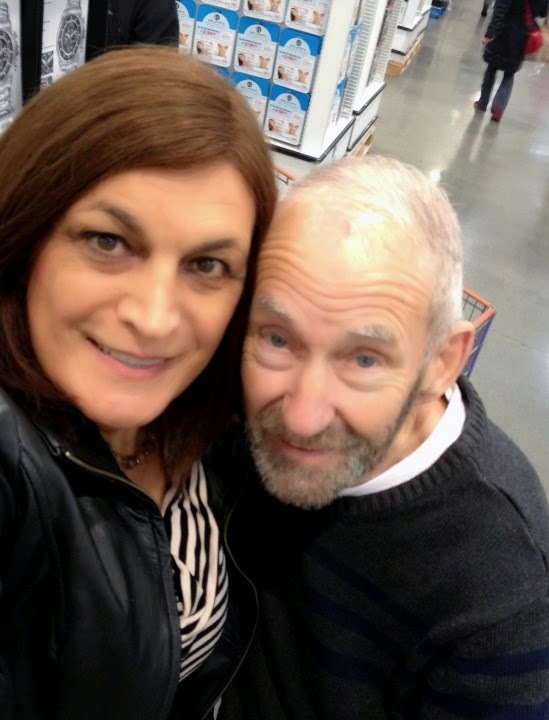 Photo: Selfie with Duncan at the Richmond, BC Costco, Dec. 24, 2014. Here’s the back story. How and when I would begin transition—that was the $64,000 question. I still did not have the confidence to present as a female when I started to disclose to people. My friend Duncan convinced me one day to come visit them as Lisa. His argument was that I needed to start presenting, and what better place than in the safety of close friends. He wouldn’t take no for an answer, insisting this was something I had to do.